As career counselors and educators we love hearing from former students. Ross recently graduated from the London School of Economics. We wish him continued success on a very interesting career. It’s been eight years since Ross was in our program and it was great bumping into him recently at a startup in Downtown Crossing. During the time we worked with Ross, he was a bright, outgoing high school student at Nobles and Greenough. Ross wrote for his school newspaper and was interested in developing his journalistic skills. We placed him with a newspaper editor who enjoyed working with young people and was very effective in teaching the basics of journalism. Ross’s skills developed very quickly and he was given the responsibility of a field reporter. 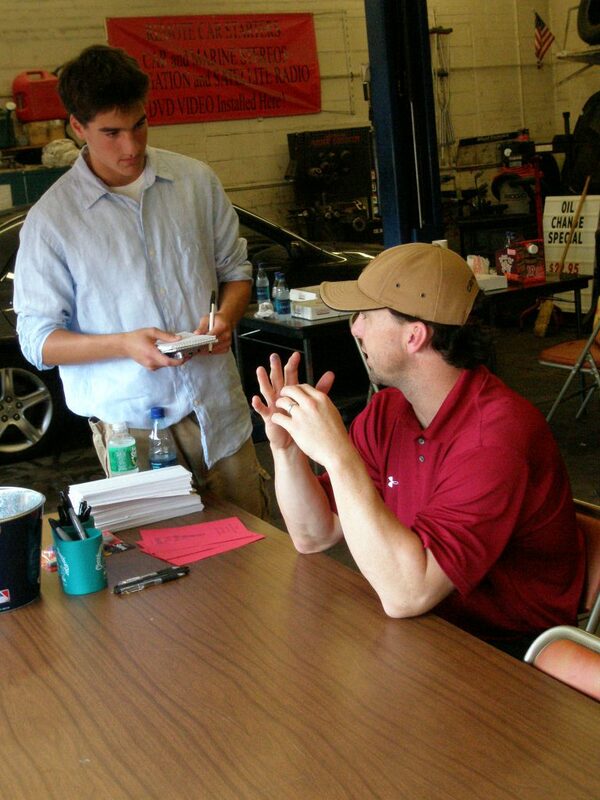 He had many interesting experiences, including an interview with Trot Nixon from the Boston Red Sox. Not only did his articles appear on the front page of the newspaper, but also Ross’s editor offered him a paid free-lance position during the year. Q: Ross, what are you doing these days? A: Well, I recently left my position of manager of new business at Allen and Gerritsen and have ventured out on my own. I’m involved in the new field of 3-D printing technology and I’m working on the development of a tool for consumers to 3-D print household and office goods, instantly. Q: How did you get interested in this field? A: I became fascinated after reading about the technology, didn’t really understand it or know how to use it. So, I’m spending time interviewing engineers and computer scientists in the field. I really think this will be the technology of the future and will change the way we manufacture goods. I would love to teach kids about this new technology of 3D printing because it will be the next generation who will succeed in this new industry. Q: What advice would you have for high school and college students? My major at U Michigan was economic and public policy. My experiences ranged from working in start-ups, for Congressman Barney Frank on Capitol Hill and in new business and venture management for marketing agencies. I wanted a broad range of experiences and each one certainly prepared me for the next. Q: I recently saw you were interviewed by the Wall Street Journal, talking about your micro-apartment on the Boston waterfront. A: I’m a big advocate of the startup community. Living on the Boston waterfront, I’m constantly meeting new people. From painters to musicians to engineers, they are all contributing to my own education and inspiration.